We can assist in choosing the correct alloy and configuration of parts to suit any application. Names, trademarks, and descriptions are for reference purpose only. RimTec is not an agent or licensee for any original equipment manufacturers. 14% - Standard Hadfield Manganese for general crushing conditions where high abrasion wear resistance is not of primary concern. suitable for cone and jaw liners. 18% - Increased Manganese and Carbon content for extended wear life. Suitable for all cone and jaw crushers. 21% - Optimum manganese and carbon combination for good wear-resistance and toughness. 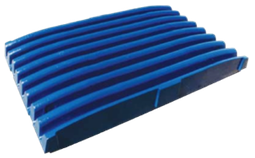 Extended wear life in high impact, high abrasive wear conditions. 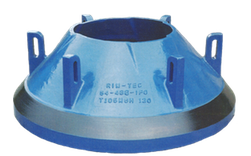 Suitable for most cone liners as well as all sizes of jaw crusher liners. Copyright © 2019 RimTec Castings. All Rights Reserved.